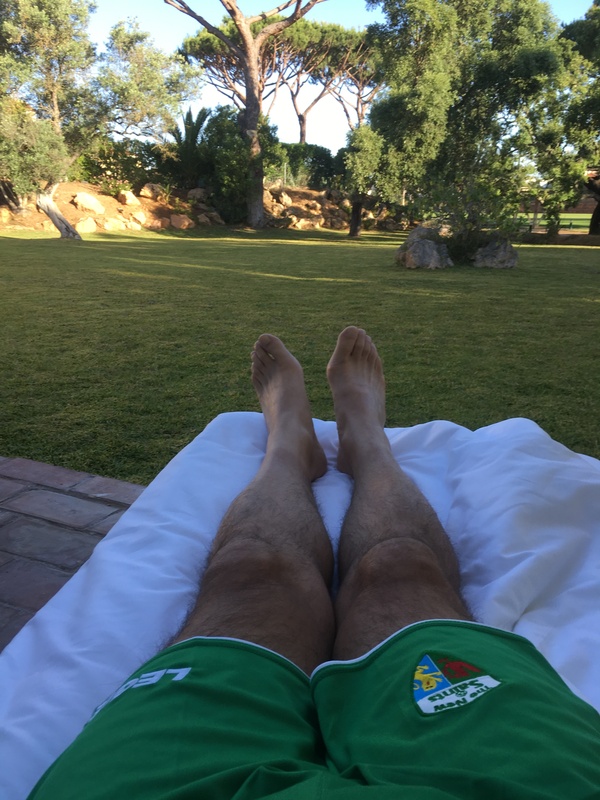 For the final night of the trip to Portugal for TNS’ UEFA Champions League training camp, I decided to spend the night outdoors under the stars. With a clear sky it was indeed so and before I dozed off on the lounger on the apartment’s patio I spent some time sky-gazing. Then there was the wildlife. Not too much though as the complex is surrounded by a fence. I know that there are various mammals in the surrounding woods, as I’ve heard them, but nothing ventured on site. I did watch bats at dusk, looking very much like pipistrelles from their size, flight pattern and very early appearance. Then there were the very vocal tawny owls that appear to be common in the area. Waking up to an azure-winged magpie was a delight, watching it hopping around feeding on the grass, but more of that in tomorrow’s blog entry when I specifically talk about the wildlife that I came across during my time in the Algarve. A very hot and dry climate but lush green grass and the answer to that lay in the early hours of the morning when the sprinklers came into action. Fortunately I only got sprayed slightly but as an angler who has spent numerous nights outdoors it’s all in the game. The rest of the day can be viewed via the accompanying Instagram photographs. It was a good trip and certainly beneficial to the players, with the opening game in the Champions League drawing ever closer.